These I took at 9 o'clock AM, before bad weather forecast today came. The dance of the personas is because the personas are in the main formed from bending red light, subject to many variables such as being overwhelmed by light from the Sun, being bent elsewhere over the curve of the globe as the light arrives to the camera, or being disbursed so as barely detectible. 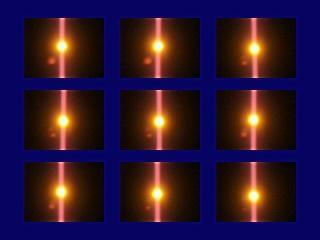 This is why often someone sees a Second Sun, but another at another location or time does not. 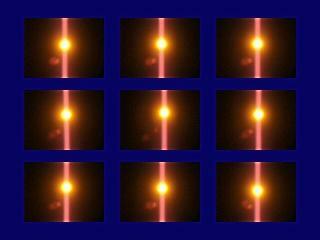 Planet X is almost exclusively in the red light spectrum, and this light spectrum bends readily toward gravity draws such as the core of the Earth.